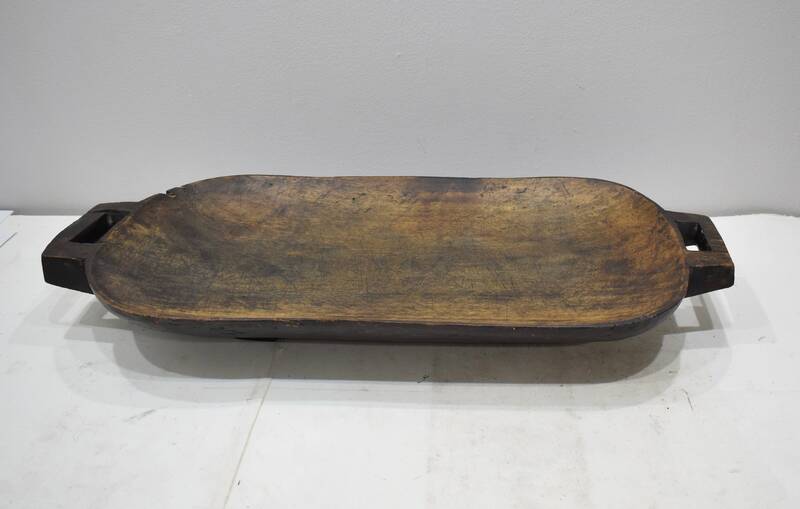 This is extra ordinary Old Wood Zulu Wood Carved Tray or Platter from South Africa. 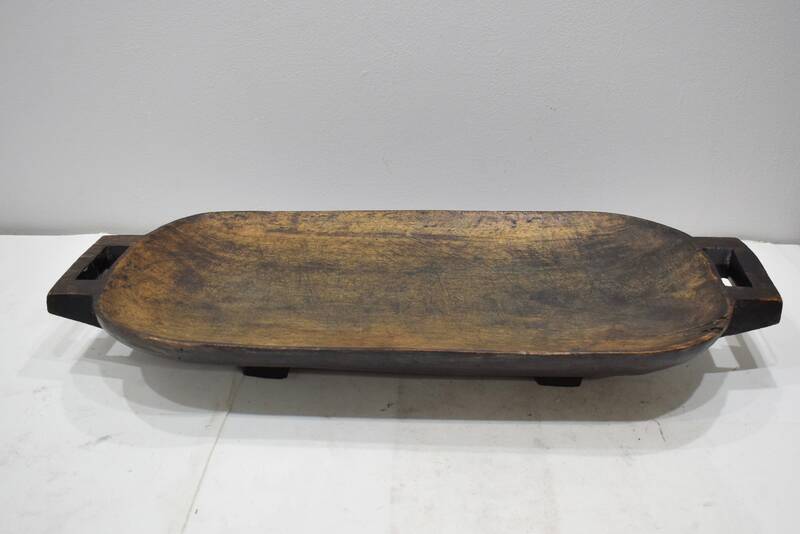 This tray is carved out of a single piece hard wood. 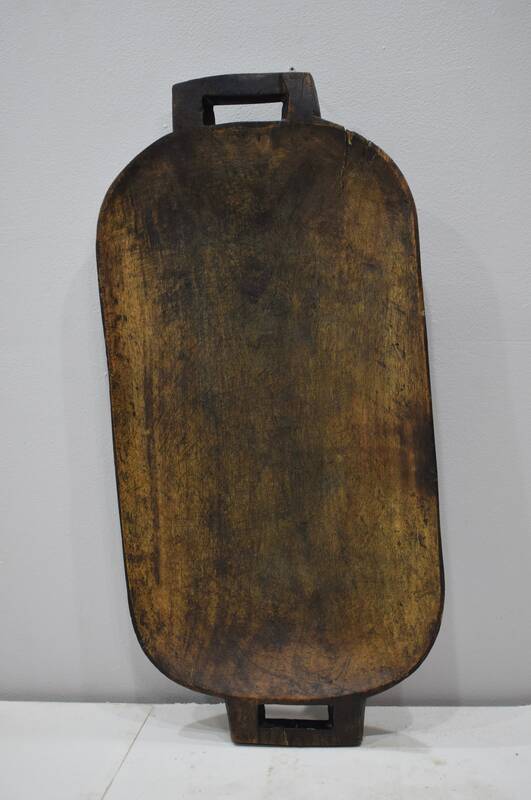 Such trays were used with great formality to serve meat (especially goat and cattle) during various rituals and in special events like weddings. 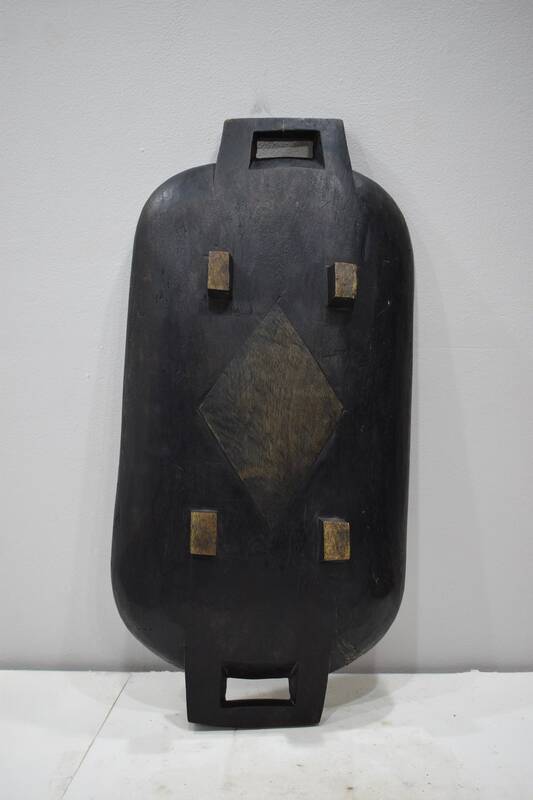 This wonderful handcrafted wooden Zulu meat platter is known by the local Zulu people as an ugqoko. The wood used does vary but in most cases the Zulu would use the Kiaat wood that is found locally in South Africa. The Zulu serving plate is an important item that is in daily use today and has handles on the side of the meat platter for easy handling. The platters are often times placed upside down over another platter to act as a cover. The platters were routinely smeared with the fat of ritually slaughtered animals which has been associated with the idea of ancestral protection. A wonderful tray to add to your collection or home. Shows age, fixed crack on bottom, but in good condition.